Things have been a bit less prolific over here than I’d like, but that is only because I’ve been in the classroom much more than behind the computer or the book. I spent one week with a group of amazing teachers at Bard’s Institute for Writing and Thinking, and last week I was working with the Holocaust Educators Network and a group of 24 teachers from all over the world. As this commentary probably indicates, I’m thoroughly committed to and fascinated by the impact that “experimental” writing (particularly poetry) has in any classroom. At Bard, we worked with poems by Lisa Robertson, Leslie Scalapino, and Cathy Park Hong. My role with the Holocaust Educators Network was different—I worked most closely in a small group with about five high school and junior high school teachers. What struck me was the amount of poetry that these educators use in their classrooms. But, at the same time, I kept finding myself asking—Why poetry? What does the poetry do in your room? What do you, as a teacher, look to poems to do? This is Week Four of the 2012 Summer Writing Program at the Jack Kerouac School of Disembodied Poetics at Naropa University. 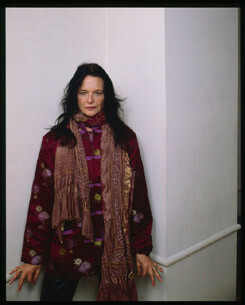 I’ve participated in the incredible summer writing program as both student and teacher and perpetually struck by what a unique pedagogical model Anne Waldman continues to create there. I’m always thinking about this particular model of rotating themes and instructors during the regular academic year when I am writing and working with my own students. In “Outrider: The Pedagogy,” Anne Waldman defines her concept of the outrider as stemming from “a need to define the lineage, pedagogy and view of a burgeoning poetics program that was increasingly seeing itself outside the official verse literati culture academic mainstream” (Outrider 39). 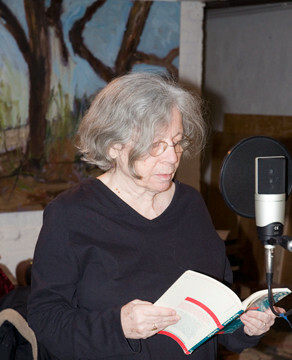 The Kerouac School (founded in 1974) is an accredited degree-granting institution, founded out of a desire to create a space for “non-competitive education…building a community of active readers and writers who carry the lineage in their genes” (Interview with Anne Waldman, 2007). 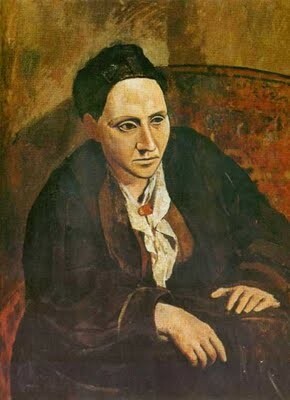 My last commentary on Gertrude Stein focused on “If I Told Him,” particularly in the context of thinking about how language has “the potential for change and to change.” I also really focused on a particular “lesson” or sequence of writing prompts that ask students to really engage with this text and write themselves into and out of Stein’s grammar. What I am most interested in is the way that Stein’s work really changes the way students approach writing and relate to their own writing. But, what is it about Stein? Why is it that Stein (semester after semester) proves to be an invitation for students to write? And, how does engaging with Stein demystify the moniker of “writer” for students? you will write…if you will write without thinking of the result in terms of a result, but think of the writing in terms of discovery, which is to say that creation must take place between the pen and the paper, not before in a thought or afterwards in a recasting…It will come if it is there and if you will let it come. What is striking about this passage, beyond the fact that it is a remarkable insight into Stein’s own creative process, is the way she pinpoints the notion of “writing to discover”—something that will become synonymous with freewriting (which arguably does not enter our pedagogical vocabulary until that late 1960’s with Ken Macrorie’s Writing to Be Read). 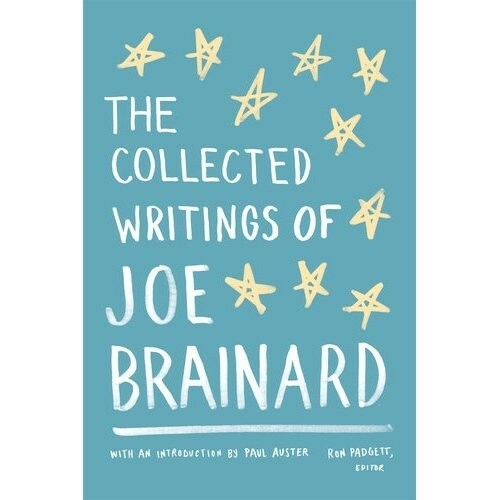 In the opening paragraph of his introduction to The Collected Writings of Joe Brainard, Paul Auster writes, “I Remember is inexhaustible, one of those rare books that can never be used up." I think that all of Brainard’s work shares that tireless quality—I can reread and reread and always find something new. The variety of tangible and relatable “forms” that Brainard invents lend themselves to the classroom. I usually work with some excerpt of I Remember, the prompt—“fill 2 pages with sentences that begin with “I remember...” is one I remember from my own experiences as student, and one that always produces unbelievably powerful and direct writing from my own students.